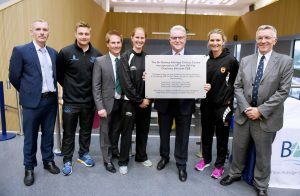 With the new centre being supported by Sussex Cricket, club captain Luke Wright and fast bowler Tymal Mills were also present at the opening ceremony. Wright, who has also played over 100 times for England in one-day cricket, is captaining the Sussex team across all three formats of the game for the first time this season. Mills, who attended the ceremony to mark the building of the new centre back in October, has been chosen in the England T20 squad for the first time, for next week’s match against Sri Lanka. 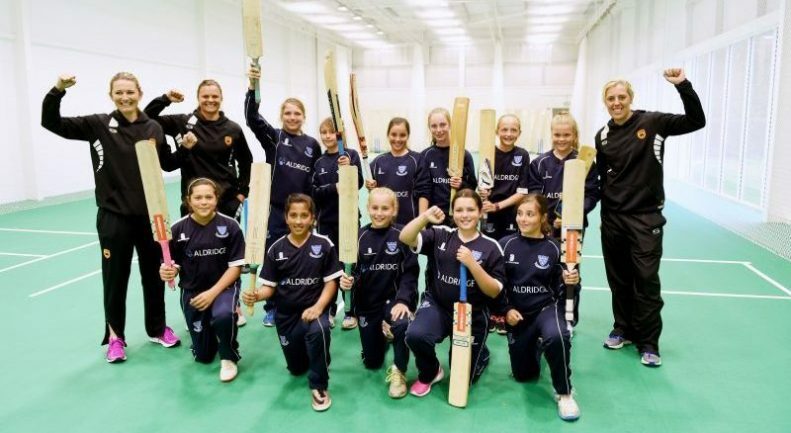 Lead photo shows: Sussex Under-11’s Girls take part in the first coaching session in the Sir Rod Aldridge Cricket Centre with former England Women’s Captain Charlotte Edwards, current New Zealand Women’s Captain Suzie Bates, and Sussex’s Georgia Adams. All three play for and are ambassadors for the Southern Vipers in the new Kia Super League. Report courtesy of Sussex Cricket.